You’ve probably come across us at a careers fair, given us a follow on social media or maybe even heard about us through one of your friends. But you’re just trying to figure out if supply teaching is the right thing for you to get into. Truth be told, supply teaching is the perfect path for some and well, just not so perfect for others. Don’t let that worry you though - that is the norm in every single industry! But in aid to ease those worries here is a list of reasons why supply teaching is actually a pretty awesome thing to do! Supply teaching is basically the dream when it comes to perfecting that work-life-balance ratio. You’re basically in control of deciding when you work which means you can just take holiday whenever it is needed. No need to stress about planning things around a hectic work diary – hooray! The ability to say no to work without feeling bad is an extremely satisfying part about supply teaching. This is super handy when something last minute crops up. You’re basically your own boss in that sense as you’re in control of your work life – can anybody else name a better feeling? No day is ever going to be the same thanks to how much variety comes along with supply teaching. You’ll be dealing with different age groups - which may we add is a great taster to figure out what suits you best. On the note of variety, supply teaching is incredible for your development. You will have the ability to learn from different people; learn how they teach and how they plan. Say hello to a better you! You don’t have to deal with the stress of lesson planning, which is actually a pet peeve for full time teachers. Oh, and imagine how much of a nice impact it will have on your life outside of work knowing that you can leave the stress of the day at the front door of the school once the day is over. Bliss! Saving the best until last. Supply teaching is an incredible way to test drive the industry. If there are questions that you have about the industry, then jumping into it this way to figure out the answers before you commit to it is beneficial. You see, supply teaching really does not deserve all the bad press that it gets and there are many more reasons why! If you have any more questions about supply teaching then we are more than happy to help you out (we’re super nice like that you see)! 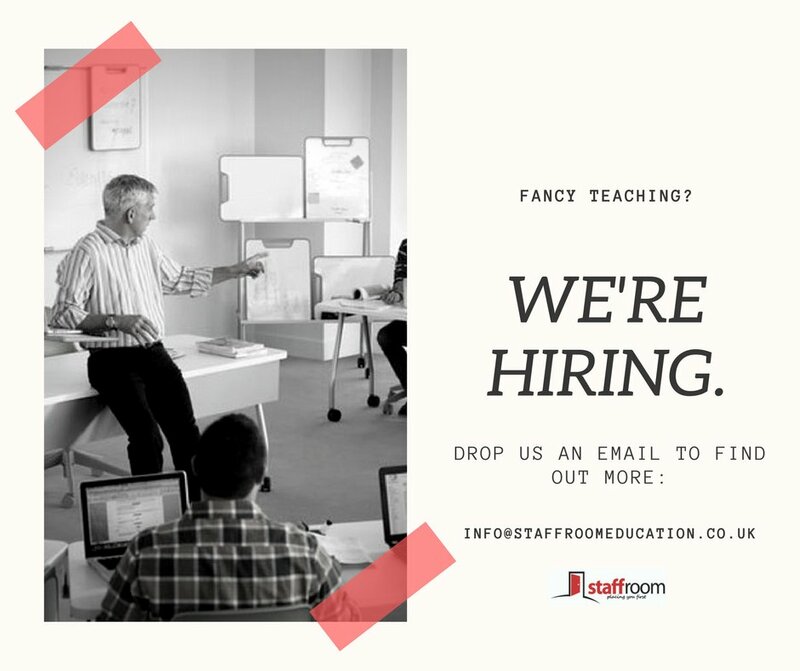 You can drop us an email over at info@staffroomeducation.co.uk or you can tweet us @staffroomed.